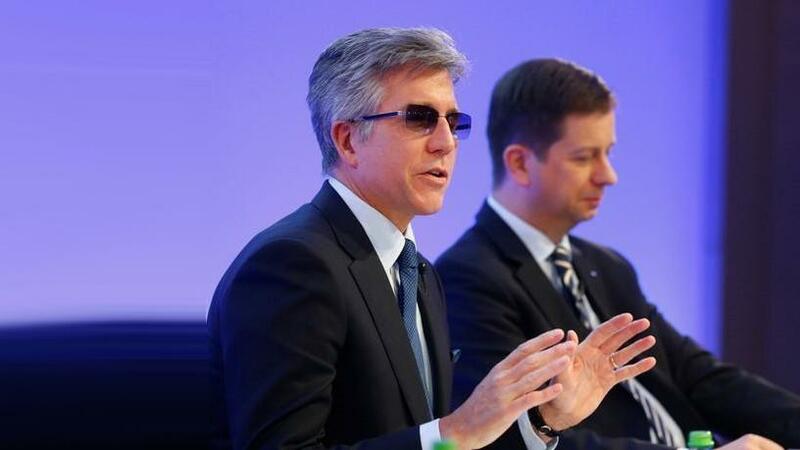 SAP CEO Bill McDermott and CFO Luka Mucic. The chief executive of SAP struck a confident note on the German software giant's future yesterday, hinting that further operating profit margin gains were on the way, while apologising for corporate governance missteps in South Africa. Speaking to investors at the company's annual general meeting, CEO Bill McDermott said SAP had made mistakes in failing to better detect corrupt practices used to win South African government contracts. But he said the company had responded quickly to prevent similar practices re-occurring. "Trust is earned in drops, but lost in buckets," McDermott said. "When we make mistakes, we admit them so we can fix them." SAP removed executives in South Africa and made sweeping changes to its global sales practices. It also acknowledged that it had paid funds to firms with links to the politically influential Gupta family, which were at the heart of a scandal that toppled President Jacob Zuma. "This is one of many reasons that momentum in our share price has been re-established over the past several weeks," he said, before suggesting further gains were on the way. "Our shareholders should continue to benefit from this momentum". SAP's American-born CEO said Germany's most valuable stock remains committed to once again tripling its market capitalisation while declining to set any timeline for achieving the goal. SAP's share price trebled between 2010 and 2017. "There is clearly the potential to triple the value of this company. We believe that is only a matter of time," McDermott told investors, reiterating previous comments on the target. "While we are not giving a specific time frame, we are certainly charging ahead with this in mind," he said. The company's market capitalisation stands at just above 118 billion euros (139 billion dollars). Rival US software maker Oracle is valued at around 190 billion dollars. At the annual general meeting, SAP asked for and received shareholder approval that sets limits on executive compensation, seeking to deflect anger in the country over McDermott's big, American-style pay out, which is higher than any German peer.